Cela signifie qu'un cookie restera sur votre ordinateur m¨ºme lorsque vous quittez nike free pas cher ou fermez votre navigateur qui peut r¨¦duire votre niveau de confidentialit¨¦ et de s¨¦curit¨¦. Vous ne devriez jamais choisir cette option si vous utilisez un ordinateur accessible au public, ou si vous partagez un ordinateur avec d'autres. M¨ºme si vous s¨¦lectionnez cette option, il ya certaines fonctionnalit¨¦s de notre site qui n¨¦cessitent encore de vous connecter pour des raisons de confidentialit¨¦. dure Chaque d¨¦fi pour 6 semaines. Vous recevrez 2 SMS par semaine pour un nike free 4.0 v2 pas cher total de 12 messages texte. Si vous vous inscrivez pour plus d'un d¨¦fi, vous recevrez plus de 12 messages texte dans une semaine. Vous pouvez vous d¨¦sinscrire ¨¤ tout moment en suivant les instructions de chaque message texte. Vous recevrez un message texte directement ¨¤ partir du fournisseur de service cellulaire de WebMD confirmation de votre opt-out demande. dure Chaque d¨¦fi pour 6 semaines. Vous recevrez 2 SMS par semaine pour un total de 12 messages texte. Si vous vous inscrivez pour plus d'un d¨¦fi, vous recevrez plus de 12 messages texte dans une semaine. Vous pouvez vous d¨¦sinscrire ¨¤ tout moment en suivant les instructions de chaque message texte. Vous recevrez un message texte directement ¨¤ partir nike free train 5.0 v3 du fournisseur de service cellulaire de WebMD confirmation de votre opt-out demande. Si vous le souhaitez pour la marche, et vous n'¨ºtes pas chaussure nike blazer une sorte de exhibitionniste qui aime ¨ºtre regard¨¦ fixement, puis vifs sont le chemin ¨¤ parcourir. La semelle est incroyablement mince (j'ai pris la semelle), ¨¤ ? ?l'endroit o¨´ vous pouvez sentir la texture de diff¨¦rents types de trottoirs. Juste ¨ºtre s?r d'obtenir une paire qui vous convient. Je ne sais pas o¨´ vous vous trouvez, mais Terra Plana a un magasin ¨¤ New York, dans le Lower East Side. oui, malheureusement, je ne suis pas en mesure de se rendre au magasin. J'ai parl¨¦ avec Nike Blazer Cuir Homme quelqu'un qui a recommand¨¦ l'achat d'une taille plus grande que une chaussure classique, car la toebox plus large conduit ¨¤ une chaussure plus courte. Fivefingers pour moi, je trouve l'¨¦lastique un peu serr¨¦ au bout de quelques heures, et ma r¨¦cente tentative de jouer au badminton dans les n'¨¦tait pas le succ¨¨s qu'il aurait pu ¨ºtre (besoin de rembourrage pour les changements de direction rapides). Premi¨¨re fois que je les portais je marchais sur nike blazer vintage pas cher 5k sur offroad gravier, pas de soucis. • 23 Dec 2008 – TOAST Trust No. 9 has been pre-terminated. The one year lease extension for the horse, "Kamsky", was pre-terminated due to unsoundness and high medical costs and the horse was retired to Bukit Timah Saddle Club. • 1 Dec 2008 – TOAST Trust No. 10 has been pre-terminated. The mare, “Xenolith Gold”, was put down on veterinary grounds. Xenolith Gold had been so lightly-raced because she had a knee chip which required surgery before she had even faced the starter. TOAST has been very patient with her as it took her nearly 14 months after her arrival in Singapore to make her debut back in Apr 2008. She was a good mare that had her first maiden success after six starts. 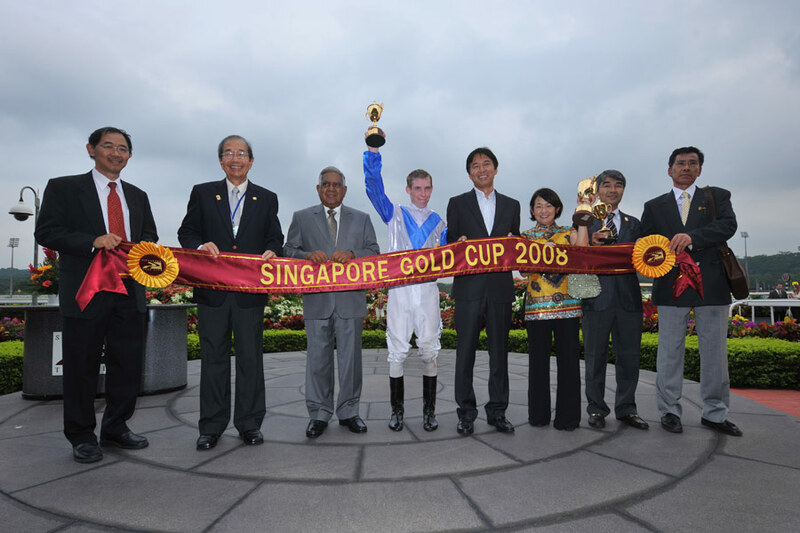 • 30 Nov 2008 – TOAST congratulates our TOAST members, Mr Masa Otani, Ms Yuki Otani and Big Valley Stable, who owned “El Dorado”, the horse that won the S$1.35 million Group 1 Singapore Gold Cup, 2200m, when ridden by Jockey R. Stewart, beat 15 other horses. 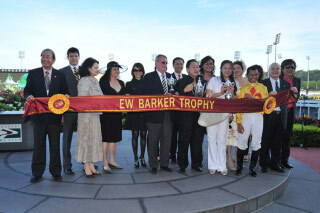 The tote dividends paid S$60.00 for a win and S$19.00 for a place respectively. Mr Masa Otani bought “El Dorado” at the Hidaka Training Sale in May 2006 for JPY 5.25 million. • 29 Nov 2008 – TOAST congratulates our TOAST member, Mr Mave Yeo and Champagne Stable, who owned “Big Maverick”, the horse that won the S$350,000.00 Group 2 E W Barker Trophy, 1400m, when ridden by Jockey J. Saimee, beat 11 other horses. The tote dividends paid S$10.00 for a win and S$6.00 for a place respectively. 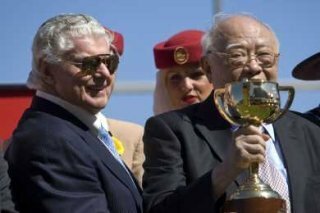 • 4 Nov 2008 – TOAST congratulates our TOAST member, Dato Tan Chin Nam, for winning a fourth Melbourne Cup, worth AUD 5.65 million, with the horse, “Viewed”, trained by Bart Cummings and ridden by Jockey Blake Shinn. The 82-year-old Dato Tan has retired but is still involved in family property development and is regarded as one of Malaysia's richest men. The win was special for Dato Tan. "When he turned 80 he said, 'My wish now is to win a fourth Melbourne Cup.' He wanted to be the only man in the world to have won four … this is a dream comes true today." Dato Tan has a passion for horse racing and a passion for life. His previous three Melbourne Cup wins were “Think Big” in 1974 and 1975 and “Saintly”, in 1996. “Viewed”, who sported the black and white checked colours of the Dato's other passion, chess, was bought out of a paddock for $50,000 by his bloodstock manager Duncan Ramage. • 17 Oct 2008 – An application for Jockey Licence by Grant Cooksley was unfortunately rejected by Singapore Turf Club despite TOAST and some Trainers' full support. TOAST felt that Grant Cooksley is a skilful, excellent and international-level jockey, who could educate our young and/or problem horses, give feedback on selection of good racehorses and advise us on their class potentiality. • 10 – 12 Oct 2008 – TOAST and TOAST Committee Member, Ms Yuki Otani, sponsored $1,500.00 and $1,548.43 respectively for the total amount of $3,048.43 towards the making of the 154 Official Show T-shirts at the FEI (Federation Equestre Internationale) World Jumping Challenge 2008 held at Bukit Timah Saddle Club (BTSC). Ms Yuki Otani also helped in the planning and design for the T-shirts. An auction event held at the Champagne Brunch on the last day of the event also provided great entertainment. TOAST President, Ms Constance Cheng, donated S$2,000.00 for the stable’s floor rubber matting and she later offered it to be re-auctioned for another amount of $1,200.00 to raise additional funds for the BTSC. • 21 Sep 2008 – TOAST Trust No. 10 horse, “Xenolith Gold”, had his first win after six runs in Singapore, when ridden by Jockey E. Aslam, beat 13 other horses in a Class 5, 1400m on turf track. The tote dividends paid S$47.00 for a win and S$16.00 for a place respectively. • 2 Aug 2008 – TOAST Trust No. 12 horse, “Triple Your Luck”, when ridden by Jockey D. Beasely, beat 10 other horses in a Maiden class, 1400m on turf track. The tote dividends paid S$11.00 for a win and S$7.00 for a place respectively. • 31 Jul 2008 – TOAST Trust No. 11 has been pre-terminated. The lease for the filly, “Blue Flag”, was pre-terminated due to the filly’s performance not up to expectations and will no longer race under the ownership of TOAST Trusts. • 12 Jul 2008 – TOAST Trust No. 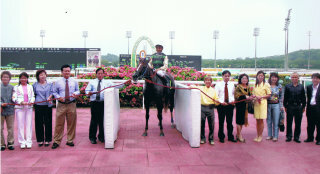 9 horse, “Kamsky”, when ridden by Jockey R. Fradd, beat 10 other horses in a Class 4, 2000m on turf track. The tote dividends paid S$14.00 for a win and S$5.00 for a place respectively. • 30 Jun 2008 – TOAST Trust No. 2 has been terminated. The lease for the horse, “Hall of Fame” has not been re-extended (after a one year extension earlier) due to horse’s performance not up to expectations and the horse was sold to Malaysia for S$18,000. • 27 Jun 2008 – TOAST congratulates our TOAST member, Mr Mave Yeo and Champagne Stable, who owned “Big Maverick”, the horse that won the S$350,000 Group 2 Singapore Three-Year-Old Challenge (2nd leg), 1400m, when ridden by Jockey J. Saimee, beat 14 other horses. The tote dividends paid S$10.00 for a win and S$5.00 for a place respectively. • 25 Jun 2008 – TOAST announced the formation of TOAST Trust No. 15 with the lease of “Great Tradition”. More information can be found on the "TOAST Racing Trust" section of this website. • 6 Jun 2008 – TOAST congratulates our TOAST member, Mr Mave Yeo and Champagne Stable, who owned “Big Maverick”, the horse that won the S$250,000 Group 3 Singapore Three-Year-Old Challenge (1st leg), 1200m, when ridden by Jockey J. Saimee, beat 13 other horses. The tote dividends paid S$14.00 for a win and S$7.00 for a place respectively. 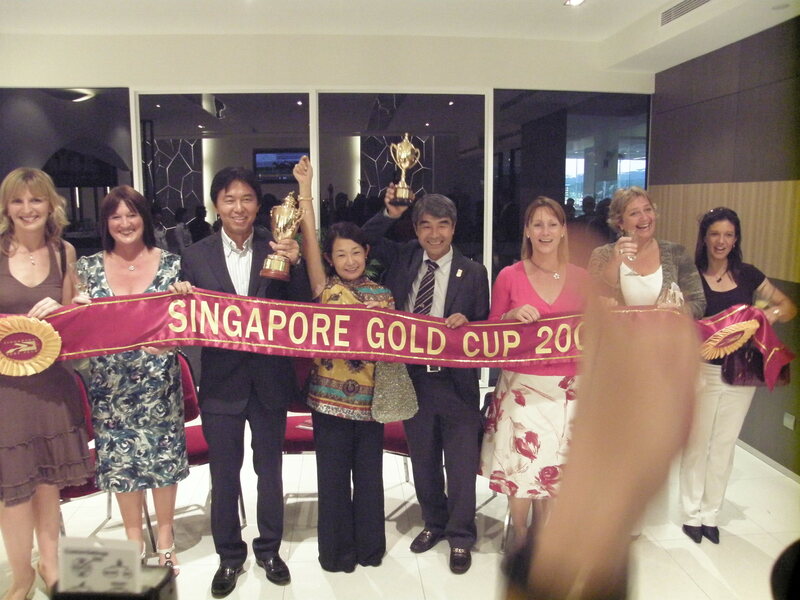 • 31 May 2008 – A Charity Lunch was organized by Singapore Turf Club (STC) for the survivors of Cyclone Nagris and Sichuan earthquake. TOAST and TOAST President, Constance Cheng, contributed $2,000 and $18,000 respectively at this charity event." More than $170,000 was raised by STC during Patrons’ Bowl Day. Donations collected at the event were handed over to the Singapore Red Cross for proper disbursement and the latter would be using the funds to aid its humanitarian efforts in the two countries. 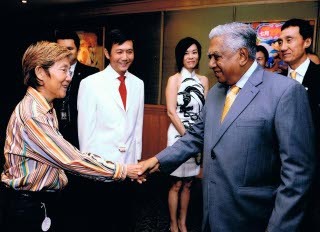 • 26 May 2008 – STC’s Vice President (Corporate Services) Ms Tan Bee Choo met up with Equine Sanctuary Pte Ltd’s Managing Director, Eric Koh and TOAST Committee Members for an informal lunch. A few issues were discussed during the lunch. • 1 May 2008 – TOAST announced the formation of TOAST Trust No. 13 with the lease of “Love Academy” (raced as “Weirdo” in Australia). More information can be found on the "TOAST Racing Trust" section of this website. • 30 Apr 2008 – TOAST announced the formation of TOAST Trust No. 14 with the lease of “Look At Me”. More information can be found on the "TOAST Racing Trust" section of this website. • 14 Apr 2008 – TOAST and Trainer Dr Yeoh tried to mediate in the dispute between Owner Dr Hwang of Jumbo Stables and Trainer Steve Burridge over the horse, “King and King”, by talking to both parties separately and to dissuade them from going to Courts eventually. Unfortunately, the efforts failed in the end. • 1 Apr 2008 – TOAST thanks Mrs Lily Ho for the preparation of the TOAST Statement of Accounts for year of assessment 2008 and members Ms Doreen Choo and Mr Calvin Koh who volunteered to audit the accounts for year of assessment 2008. • 27 Mar 2008 – The new TOAST committee members were elected at the TOAST Annual General Meeting (AGM). For more information, please refer to the Committee section of the TOAST website. • 25 Feb 2008 – TOAST has raised concerns to Singapore Turf Club about their plans to do a one-time quarantine of a large batch of horses from Australia at Horsecity, instead of doing it in several batches at their Neo Tiew Quarantine Station. TOAST failed to convince Singapore Turf Club and they went ahead with the quarantine exercises at Horsecity. As expected, the exercise was not without its problems and hiccups.